Brilliant young Venezuelan pianist Gabriela Martinez has been taking the classical world by storm. She has won consistent acclaim at top domestic and international venues for her brilliant technique, aesthetic sensitivity, interpretive acumen, and emotional impact. Recorded in the Concert Hall of The Performing Arts Center, Purchase College, State University of New York on a Steinway piano, Gabriela worked with multi-Grammy award-winning producer David Frost and Tim Martyn, senior audio engineer/technical director for the Boston Symphony Orchestra's Tanglewood Festival. 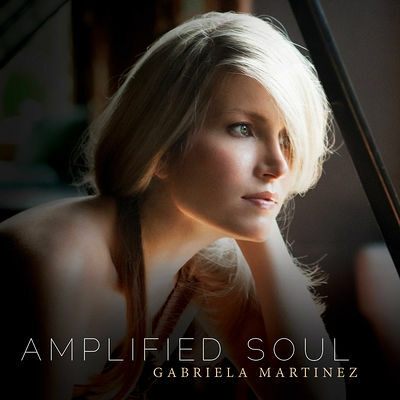 Offering a wide-ranging program of classics by Beethoven, Rachmaninoff, and Szymanowski, the recording also pays homage to two acclaimed contemporary composers Ms. Martinez has worked with - Mason Bates and Dan Visconti, whose title selection, Amplified Soul, was written for her and is heard here in its world premiere recording.